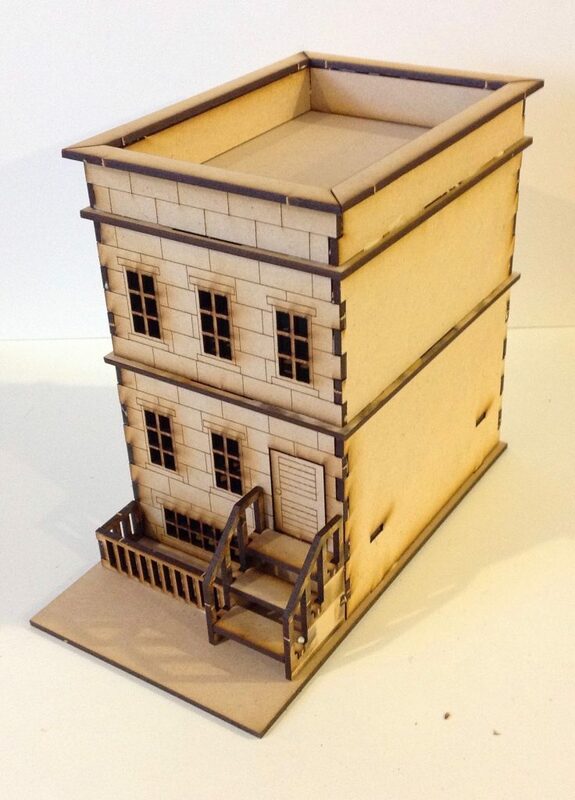 This building was designed as a basic brownstone house or apartment. 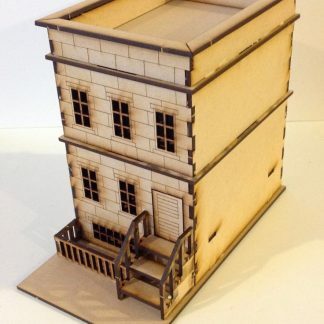 The base of the building is roughly 8 1/2″ deep x 4 1/2″ wide (215mm x 115mm), the building itself is roughly 6″ deep (not including stairs) x 4 1/4″ wide x 7 1/4″ tall (150mm x 110mm x 180mm). 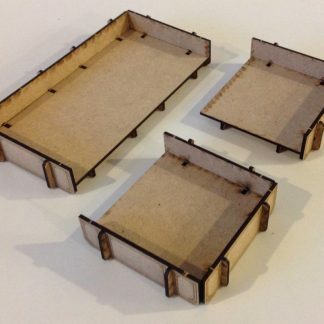 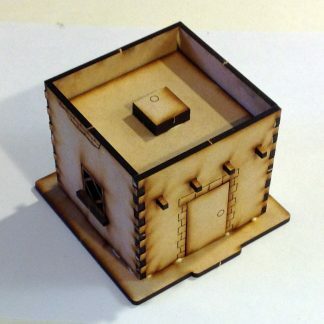 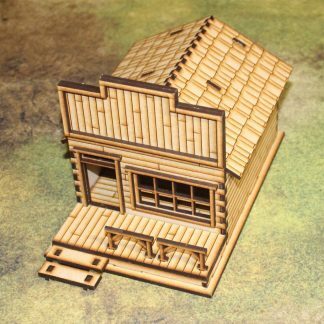 Sold as a kit of 1/8″ (3.1mm) MDF parts, and is not assembled or painted. 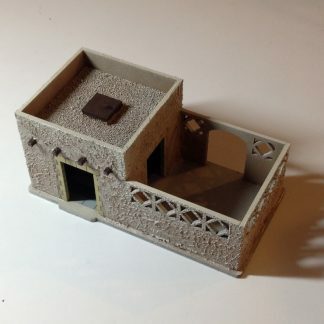 The kit comes with 2 different crown molding type pieces that can be attached under the lip of the floor above to create three different looks (no molding as shown, rounded molding, square molding). 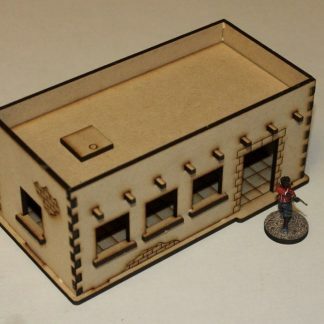 NOTE: Any figures shown in images are for demonstration and scale purposes only and not included!